Es un modelo muy caro, el más caro de una marca que ya tiene modelos bastante caros en su catálogo, que brilla en rendimiento por su solución grafica pero que quizás podría haber sido más ambicioso en otros aspectos como incorporar más el PCI Express a su sistema de almacenamiento. Sin duda tiene detalles que mejorar y corregir pero de lo que tampoco hay duda es que es uno de los portátiles más potentes y menos convencionales que podemos encontrar en el mercado gaming. The GT80 Titan is indeed the powerhouse MSI says it is. It has an excellent chassis, ultra-powerful components, a highly effective cooling system and a mechanical keyboard that gamers will love. It's a standout laptop that's several steps above the rest, providing a gaming experience never yet seen on a laptop. 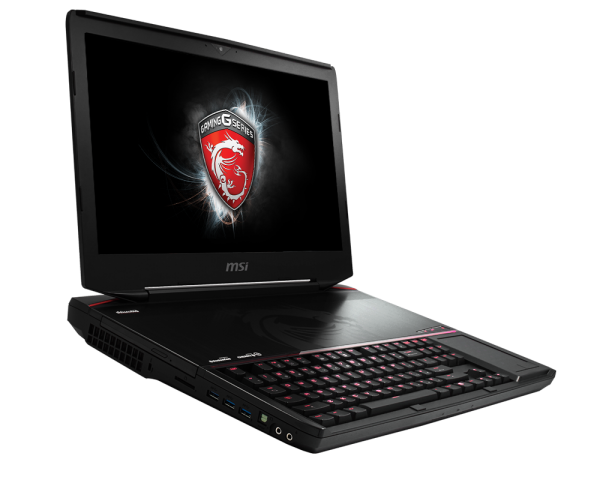 The MSI GT80 is a beast of a machine with zero finesse. It's designed purely for power, casually batting aside all the considerations that current-day laptops make in terms of looks and features. Does anyone really need a laptop with a mechanical keyboard, RAID SSDs and dual flagship graphics cards? Almost certainly not, but that didn't stop MSI from tossing them all in anyway, and we're love that it did. No doubt, this product will appeal to a lot of people for the bragging rights alone. We didn’t even bother with a battery test, as the results are predictable – expect an hour or less given the crazy-fast hardware within. But to buy the GT80 with the intent of gaming on the go would be missing the point. This brute brings desktop performance to a slightly mobile package, perfect for bringing to a mate’s place for an impromptu LAN. 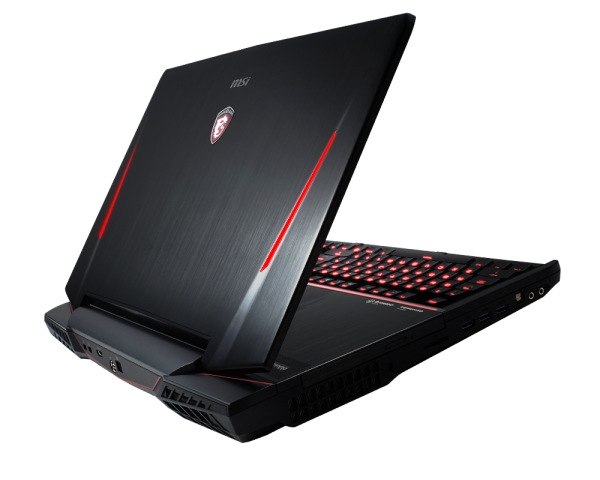 The MSI GT80 Titan is a touch too big for my personal tastes, but if you're looking for a mobile machine that delivers the same gaming experience of using a desktop PC down to the keyboard, this is the one to get. Just make sure you're ready to carry the burden on your back. 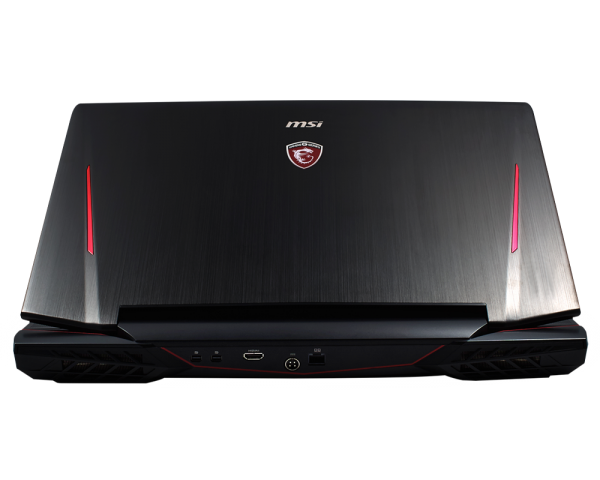 The MSI GT80 Titan SLI is impressive in a lot of ways. It offers powerful graphics performance, an easy way to access components for upgrading, which is relatively unheard of for notebooks, and the first full mechanical keyboard in a laptop. But with a design too huge to move easily, a size that won't fit in any standard laptop bag, and some serious clunkiness due to that mechanical keyboard, it's still a hard sell. This is the fastest gaming laptop we’ve ever tested thanks to top-notch components in every department, and its mechanical keyboard makes the typing experience better than every competitor. It’s big and heavy, though, and painfully expensive. Alternative configurations with the same chassis offer better value but overall this is still an aspirational product for the privileged few - the rest of us will have to make do with lugging our PCs round to LAN parties. Nevertheless, I still feel that this laptop is worth the price. With a mechanical Cherry switched keyboard, a multi-use mouse pad, an excellent cooling system, fast processor and storage, and two of the world’s fastest graphics cards in SLI configuration, this beautiful piece of machinery is the best laptop a gamer can spend on. I should even applause for the flexibility of upgrades MSI has offered on this machine. The other big cost is the actual cost. Such an odd-duck laptop packed to the gills with hardware won't be cheap. The configuration I reviewed, the GT80 SLI-001, will set your credit card back $3,400. 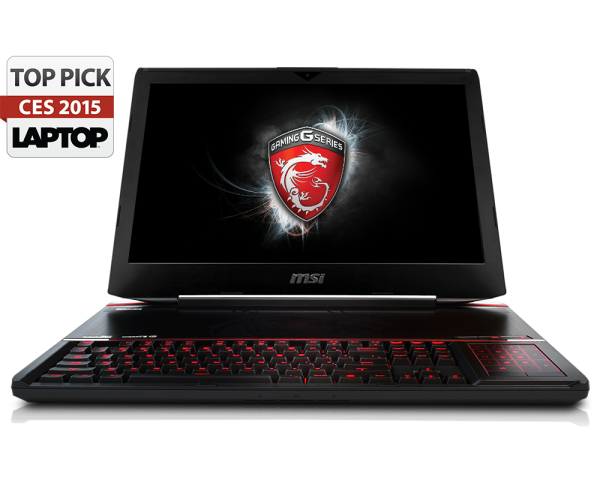 Most high-performance gaming notebooks with a single GeForce GTX 980 will set you back $2,300. That means you're definitely paying a hefty premium for the GT80 Titan SLI, but you're really getting desktop-like performance and that slick mechanical keyboard. After plenty of discussion and plenty of benchmarks, we're still not entirely sure what to make of MSI's GT80 Titan SLI. Priced at a lofty £3,500 and designed to be the be-all-and-end-all of gaming laptops, the system is as extreme as the price tag suggets and largely lives up to its billing. MSI's GT80 Titan SLI has it all and then some. 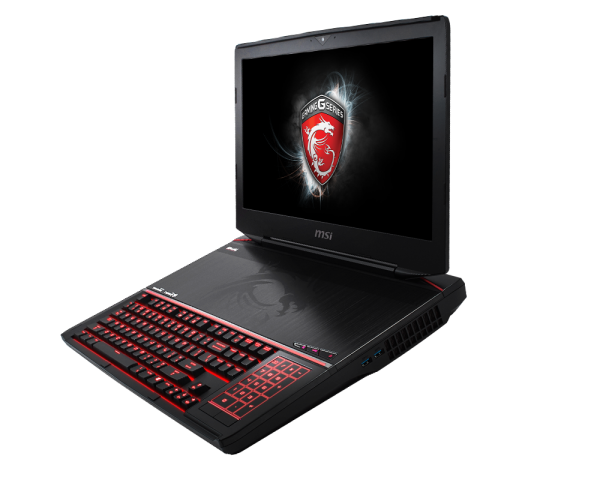 The notebook delivers blazing-fast gaming performance via its pair of 980M GPUs with 8GB of VRAM in SLI configuration. But more importantly, it has a mechanical keyboard that delivers both excellent precision and great feedback. We’re of two minds with the GT80 Titan SLI. Hovering over this laptop, we’ve had some heated existential discussions among ourselves and with our colleagues at PCMag.com. Some have argued that once you get up into this price range and weight class, an all-in-one desktop PC makes more sense, as it’s still luggable from room to room, will deliver a bigger screen, and allows you to pick and choose a keyboard. The GT80 Titan is exceptionally well put together. There are no creaks or groans when you open the lid, and the construction quality is high grade. The red sports stripe along both corners of the lid are attractive, yet not too flashy. The red and black grills underneath add to the sports car style appearance, although I was slightly disappointed to notice that the motherboard inside is green and not black. A minor point, but if Apple can do it with their MacBook Pro’s, why can’t MSI? The MSI GT80 Titan is clearly bonkers, but the same could be said for just about every massive, hugely expensive gaming laptop there's ever been. They’re a niche product for those who simply want everything in one device. As such, with mechanical keyboards being the latest must-have feature, it does make some sense. There are still a few key areas where the GT80 Titan needs to prove its chops, and it really is a shame the screen resolution's so limited, but as a concept we’re totally on board. Over the past few years MSI have been building a good reputation in the gaming laptop market. Their early models always delivered decent performance, although the design could be a little extreme for some tastes but recently we have seen sleek, high performance systems. Just a phenomenal spec with performance and price to match. The MSI GT80 Titan SLI is one of the few products to be worthy of our Diamond Award. Dos tarjetas de vídeo GeForce GTX 980M en combinación SLI. 84.71%: Esta evaluación es para ser considerada como promedio, porque la cantidad de portátiles con mejores evaluaciones es casi la misma que la cantidad con evaluaciones peores.